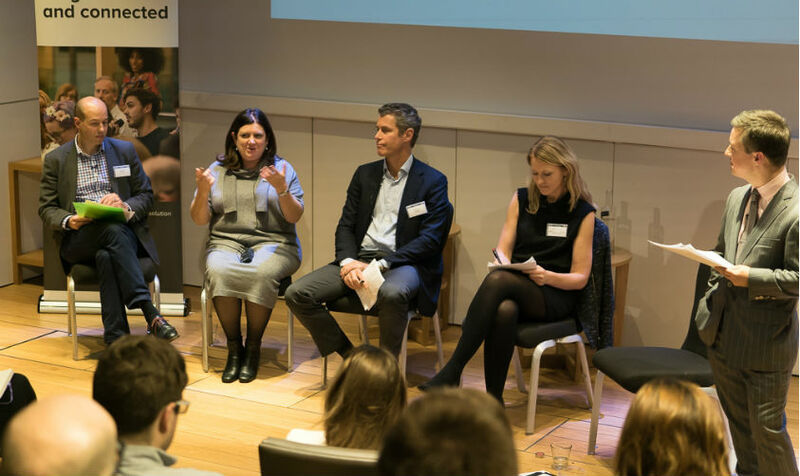 At an exclusive panel event last night, agency and industry leaders from Ketchum, Edelman, Hanson Search and Gorkana looked to the future and discussed what PR agencies will need to do, who they will need to hire and how they will prove success as media and comms continue to change. Kicking off the event, Denise Kaufmann, partner and CEO at Ketchum London, spoke about the evolution of the PR industry. Clients, she said, are now looking for services, “That they never knew they would want.” As a result, the range of people working in the industry is much broader, and some of them will not have worked in, or even with, PR before. She said, “We try to find the right people for the right opportunity.” Kaufmann reminded the audience that the client doesn’t necessarily care about internal agency structures, they just care about individuals. According to Miller, the political events of 2016 in the UK and the US have highlighted an important issue for communicators. As in the wider world, the PR industry suffers from a lack of exposure to diverse experiences. For instance, in media consumption, people tend to expose themselves to like-minded individuals and similar points of view. “We are not getting out of the bubble,” he explained, and this limited input can have an adverse affect on the quality of work produced. Alice Weightman, founder and CEO at Hanson Search and The Work Crowd, also touched on diversity, particularly on gender diversity, and on the industry’s need for flexible working. She said she recently launched online platform, The Work Crowd, to help agencies and businesses find the expert freelancers they need. The twin pressures of the need to offer diverse services and to control costs mean that agency business models are changing, and will continue to change, she said. The PR industry is adopting a more agile approach. Paul Hender, Gorkana’s head of insight, said that communicators and PR agencies understand the increasing importance of measurement and proving ROI, but they don’t always know how to put this into practice. Hender acknowledged Miller’s point about media consumption and the ‘echo chamber’ of media consumption in the digital world. The challenge for the media industry, Hender said, is that we spend around half of our waking day looking at screens and consuming media, yet 76% of ad-spend goes to news curators, not creators. However, he said, this can put earned media at an advantage compared to advertising or paid-for media. If PR can prove its value, then there is a great deal of potential for the industry moving forward. The panel event took place at 1 Wimpole Street in London. For future Gorkana events, see here.